As growing your own food has now become in style again, I’m often asked many of the same questions by new gardeners. Gardening shouldn’t be something that is dreaded, but rather an enjoyable activity. In order to make it enjoyable you need to make it as easy as possible. Our raised bed gardens are one of the easiest ways to start small and help keep gardening simple. If you need a little help and/or advice along the way our garden coaching services can give you the necessary help to be successful. This blog will focus on one of he most common questions of new gardeners…”what should I grow”. 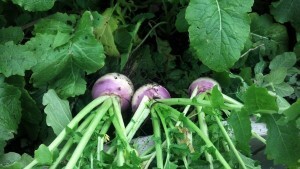 Organic turnips in a raised bed. When you are looking for easy to grow vegetables…these are my top ten. Peas. An early season plant that does well in cool weather. You’ll be rewarded with weeks of fresh peas. Beans. Whether you like green or yellow, there is a bean that will appeal to your tastes. Cucumber. Once these babys start producing in mid-summer, you’ll be eating fresh cucumbers for the rest of the year. Tomato. Probably a must have for every garden. Hundreds of choices in size, shape and flavor…you’ll be sharing with friends. Cabbage. Don’t be intimidated by these giants. 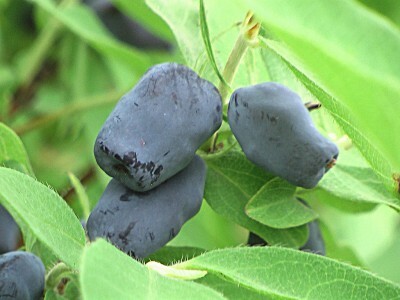 Easy to grow, and delicious when eaten fresh. Carrots. Plant an early crop and again in July..and you’ll be amazed by the flavor of a fresh carrot pulled straight from the ground. Squash. A larger late season plant that will be produce an abundance of fruit, that can be stored for months. There’s my quick list of ten easy to grow vegetables. 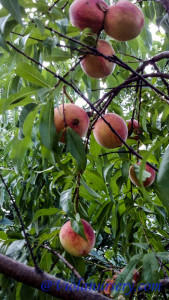 You can add or subtract from this list, and get yourself some fruit bearing plants started. …after all, you’ll want some dessert with those veggies!